Kaboo is owned and managed by Betit Operations Ltd, who have a number of brands in the online casino industry. This growing band has its headquarters in Malta, with licences earned from the UK Gambling Commission and the Maltese Gaming Authority. The Kaboo website can be enjoyed in English, Swedish, Norwegian and Finnish. What is Kaboo’s unique selling point? That’s easy: the more you play, the more cool stuff you earn! 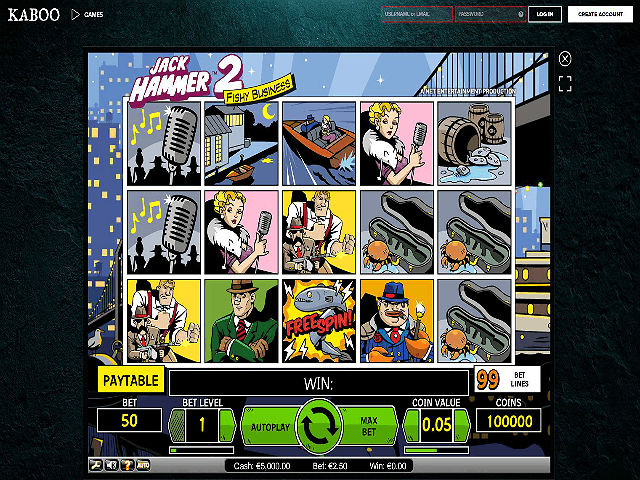 Here you earn the brand’s own currency, Echoes, and these can be changed into free spins, bonuses and even cash prizes. The over-arching sci-theme mimics the gameplay of modern video games, a unique way to draw in the younger players! The good news for players is that Kaboo Casino has a rather open-minded attitude to the software developers and slot game providers that they work with. 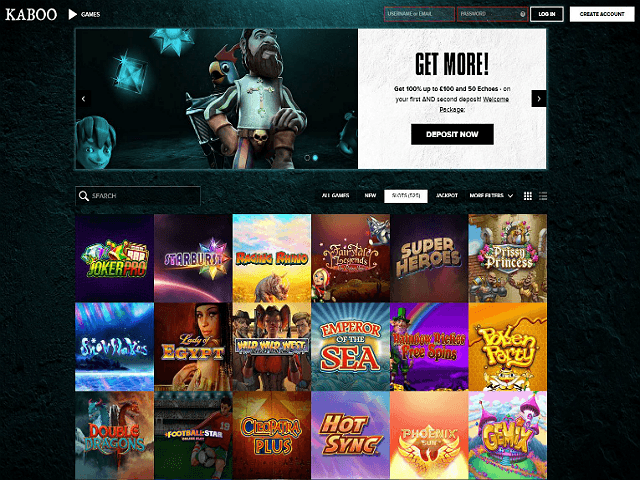 So you’ll find plenty of titles from the likes of NetEnt, Microgaming and NextGen Gaming, and while some of the ‘big boys’ like Playtech and IGT are a miss on the site, there is still a fantastic range of providers to enjoy here. But thanks to the robust catalogues offered through NextGen and Microgaming alone, players at Kaboo won't ever go without. Even the quickest of sessions at Kaboo confirms what many already knew: the user experience here is out of this world. The super-fun theme is one thing, but making sure the nuts-and-bolts of a good casino are in place is far more important from the end user’s perspective, and happily Kaboo have done themselves justice. The usability of their site is second-to-none, and feels like it has been designed with the player in mind; rather than simply an attempt to cram as much information onto the screen as possible. The site navigation is sensible – both on desktop and on the app – and so playing your favourite games, and depositing/withdrawing funds, is easy. It may not be the largest selection of slot games in the world, but many of the best slot titles ever to grace the screen are in place at Kaboo. The options for players are numerous; do you want to take on an all-time classic, a brand new release from the leading software houses around or perhaps waltz into the sunset with a life-changing sum of money won via their progressive jackpot games? Does Kaboo Offer Progressive Jackpot Slots? Oh yes, and plenty of them! The opportunities to win heaps of cash are wide ranging with Kaboo as they play host to around 17 different progressive jackpot slots. These progressive slots range from Mega Fortune and Major Millions to Hall of Gods and King Cashalot; each of which could make you rather rich if you get lucky with your spins. Relative to most competitors, especially those that have only been around for as little time as Kaboo, the selection of progressives at Kaboo is beyond fulfilling. 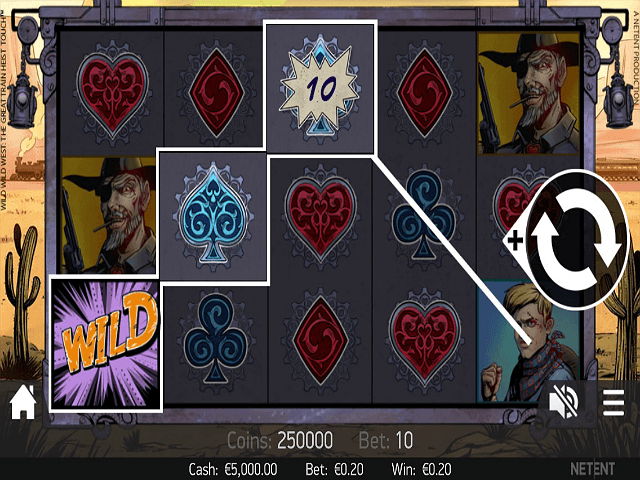 Can Players Demo Kaboo Slot Games for Free? Absolutely, free slots are in abundance at Kaboo. Simply click on the thumbnail of any title and you will offered demo slots or the chance to play for real cash. This is a great way to get to grips with the minutiae of each title before (hopefully) you go on to win stacks of cash. Kaboo have made it as easy as possible for players to deposit funds into their account, get playing quicker and withdraw winnings without any hassle. Their depositing system is easy to use and accepts payment methods such as VISA, MasterCard and Skrill. This is the easiest way to make a casino deposit, with a minimum of $10 in place. Making a casino withdrawal is a cinch too, with an array of payment options including NETELLER and paysafecard welcomed. Withdrawing takes about 2-5 days on average, and while there are fees in place for this they are some of the most forgiving around. The welcome offers and promotions available at Kaboo are constantly evolving, and so it is perhaps easier to say that the casino bonus you can expect to receive when registering with the brand will be generous and worthy of your time. Kaboo’s exclusive raft of bonuses includes free spins, loyalty promotions via their Echoes currency, slots bonuses, cash reloads and lots more. The best bit is that Canadian players get to choose the bonus they want! You can decide whether you want bonus cash, free spins, more Echoes or a combination of the three. The great thing for punters these days is that all online casinos have to prove their worth by offering a secure, safe and fair environment for players to enjoy. Those are the minimum requirements set out by the UK Gambling Commission and enforced by eCogra in order to secure a UK license. Site security is maintained via the 256-bit encryption that Kaboo has built into their site; this ensures your personal data is kept safe from harm. 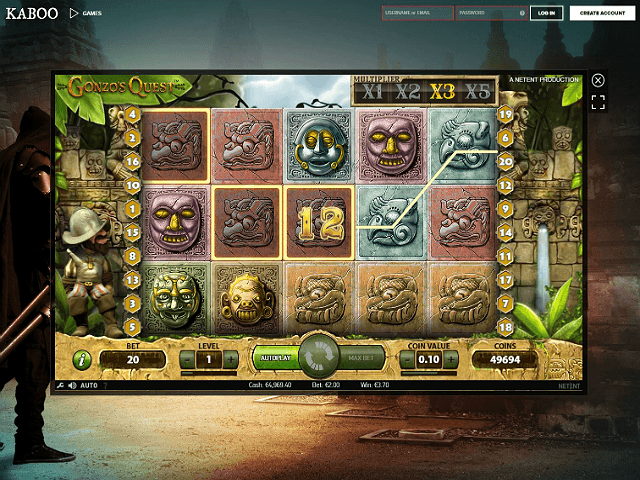 As far as fairness is concerned, a random number generator is utilised to ensure that all games available via Kaboo are completely randomised and unpredictable. You’ll find the Kaboo customer support team available between the hours of 10:00 and 00:00 CET, and these helpful ladies and gents can be contacted via email, live chat or the international telephone line. As ever it is very difficult for an online casino to tick all of the boxes when it comes to satisfying the needs of the discerning punter, and so Kaboo – like any other casino – has its unique pros and cons. Happily, the advantages far outweigh the drawbacks. A huge games library, effective customer support and banking plus a website that is a joy to behold and use. That trio isn’t a bad way to get started!